Weddings have consistently become more expensive in recent years. With flowers, invitations, food, and many other things being a necessity nowadays, costs for a once in a lifetime event have skyrocketed. With all that being said, the parties that take place before the wedding have also jumped in value. I’m talking about bachelor and bachelorette parties. I recently just got finished planning a bachelor party for a wedding I’m in. I will share a few cost saving tips on how to plan a bachelor party on a budget. Drive instead of fly. Flying can be very expensive depending on the location of the trip. Pick a closer location and carpool instead. The bachelor party we planned was just over seven hours away from where three of us were located. We could have each flown, but that would have come with a $300 price tag per person. By driving and splitting gas, we will spend about $200 total. Purchase supplies ahead of time. A good plan is often times the key to saving money. By purchasing supplies before the trip, you can plan out your purchases and get everyone on board to split the costs. For example, buying food at a grocery store before you get into town means you don’t have to scramble at the last minute for food. The same goes for purchasing party favors and alcohol. We purchased our alcohol and breakfast food ahead of time. I estimate we saved about $20 per person by doing so. Find fun activities that don’t cost a lot. Although bachelor and bachelorette parties tend to be a destination trip, the activities you do at the destination don’t have to be expensive. For the recent bachelor party I planned, we spent a night grilling out instead of going out to eat. We had a good time, and we spent a lot less than if we had decided to go to a restaurant. When it comes to a city all are visiting on a trip, there are bound to be a number of museums, mountains to hike or other free activities you partake in. Not every event has to cost money. Bachelor and bachelorette parties are meant to be one last celebration of an individual’s friends. It’s easy to get caught up in expecting something lavish or expensive, but most times all that friend wants is to spend quality time with the people in their life they cherish most. WHAT COULD YOU DO IF YOU WON THE $1.6 BILLION MEGA MILLIONS JACKPOT? The drawing for the largest jackpot prize ever was held last night. One lucky ticket was sold in the great state of South Carolina. Assuming the winning ticket wasn’t part of an office pool, the winner will walk away with over a $900 million check if they decide to take the cash payout. Many of us had quick dreams of what we would do if we had one. Buy an expensive car, donate to charity, move to paradise. These were a few of the things that ran through the minds of the individuals who played. However, those dreams were abruptly ended this morning when the tickets were checked. If someone wins the lottery the first thing many of them say they’ll do is quit their job. While this sounds good on paper it could bring about additional life stresses. For example, you’ll have to worry about getting healthcare coverage and the structure of your day might fall apart. Psychologists have said it is important to keep things as normal as possible after a big win like this. Immediate changes could bring about results you hadn’t planned on. If you are miserable at your current job, you can always have the opportunity to quit. Like I said previously, don’t make any rash decisions when it comes to this, but it does present you with an option to pursue your passion. After winning almost a billion dollars you in essence can put the worry of money on the back burner. If you enjoy painting, be a painter. If you enjoy volunteering, make that your life’s goal. The point is now you have the chance to pursue a life where money isn’t a byproduct. We’ve all heard the stories about people going broke after winning the lottery. Most of the time those stories center around individuals who win a million or ten million in winnings. With over $900 million in winnings, you shouldn’t have to worry about such an event. You now have the chance to build that dream house you’ve always wanted and drive luxury cars. You can travel to exotic places for weeks or months at a time. The possibility for the things you could do if you won the $1.6 billion Mega Millions jackpot are endless. You could do any of the three things above, or a combination of all of them. Now back to reality. You didn’t win the Mega Millions. You still have bills to pay. You still have to go to work. Life is the same as it was yesterday. There is absolutely nothing wrong with that. I woke up this morning no different than yesterday. I continue to budget on a daily basis, save for retirement, and enjoy all of the blessings I currently have in my life. You should too. Fall is quickly approaching. Every October the IRS (Internal Revenue Service) releases their updated retirement limits for a number of accounts. The Roth IRA is one particular account that many will be looking at. For 2018, the contribution limit for a Roth IRA is $5,500 with an additional $1,000 catch-up for individuals over the age of 50. The 2019 Roth IRA contribution limits will be announced by the IRS in less than two months. The government uses inflation numbers to determine when and by how much to raise retirement limits. When it comes to IRA’s, any annual increase in contribution limits will be in $500 increments. Meaning that there are only two possibilities when it comes to the 2019 Roth IRA contribution limits. Either the limits remain the same at $5,500 ($6,500 for individuals 50 or older) or it is increased to $6,000 ($7,000 for individuals 50 or older). It is expected that the 2019 Roth IRA contribution limits will increase to the latter amount. So what does an increase in $500 a year for a Roth IRA account mean? Well, for starters, instead of being able to contribute an awkward $458.33 per month to the account, you will now be able to contribute an even $500. Of course this only applies to individuals under the age of 50. Contributing on a consistent basis has proven time and again the best way to invest. You can take advantage of the market when it hits various highs and lows. Are you worried that you won’t have the additional funds to contribute an extra $500 a year to a Roth IRA? Then now is as good of a time as ever to go and create your very own free budget. The best way to see where you are spending your money every month is to track it. Although it might seem like a challenge at first, you will most likely be able to find a way to contribute the additional $41.67 per month to your Roth IRA. Why choose a Roth IRA? There are many benefits to having one. First and foremost, the money you put into it will grow and compound tax free through the years. Additionally, when you do decide to withdraw from the account, you will not be required to pay any income taxes on the withdrawals. It’s an especially good account to have in order to help offset tax burdens brought on by 401k’s and social security. With the official numbers for the 2019 Roth IRA contribution limits less than two months away, we will have to wait a little longer, but we can predict that more than likely the amounts will increase. When you’re running a business, working in any kind of managerial role or simply taking decisions on behalf of one for example as a marketing agency entrusted with a budget, what you’re doing every day is choosing where to spend resources to get the best results for the smallest investment. Those resources might be literally money, but the resources you have at your disposal could be the work-hours of the team you’re managing, the reputation of your company, even personal favours built up over time. You need to make shrewd use of these resources, putting them into projects that bring in a bigger return than spending them costs. This doesn’t just mean profit: one of the most important things you can do is begin to recognise more indirect gains, from building a reputation for quality with your customers, spending money to build in risk avoidance systems that reduce loss from future projects and avoiding false economies, seeing the bigger picture is vital as you rate your decision making and account for it in front of others. One of the most important factors at work here is the use of data to inform each decision you make. Using research on your own company, and from market research agencies like Attest mean you can approach choices with confidence about what your consumers want, the extent to which they’ll trust your brand, and exactly what you can do to get it to them. It ensures you’ll avoid problems like over promising, which can harm trust in your company in the long term and drive away the loyal repeat custom that success is founded on. With good data you can start to predict the outcome of your choice, and this modelling allows you to steer towards good outcomes and away from bad ones. It’s important that your research and data gathering looks back as well as forward. Don’t just walk away from a project, especially if it’s gone badly (or at least, not as planned). Review your decisions, look at where your expectations differed from reality and try to work out why: you might need to make some personal changes if your preconceptions are causing to allocate resources wastefully, or you might need to change your data gathering and analysis techniques to better your ability to predict how your choices will turn out and make sure you’re making the right ones. Buying Part of a Business: Is it Worth It? When seeking to continue to build your financial portfolio, adding investments is one idea that many choose to pursue. One way that such investments are typically made is by buying part of a business. Buying into an existing business means that you become one of the main stakeholders, owning a portion of the business itself. While this is something that is done frequently, quite often are new business owners not aware of the many factors that are related to making this significant financial decision. Of course, buying part of a business may sound overwhelming, but there are many factors that make it a beneficial decision. • Established company client base. One of the benefits of owning part of a business that is established is the fact the client base is already set. While a new business has to attract customers and build a group of returning clients, one that is already functioning will have this taken care of. This will allow the business owners to focus more on customer service and maintaining client retention and increasing the number of clients. • Ease of expansion. If you happen to buy part of a business that is looking to expand, it will be much easier to do with a company that has already made a name for itself and gets good feedback from its clients. It’s also easier to get an unsecured small business loan for expansion when the company has a proven track record of sales. • Focus on business improvements. You may like challenges and, thus, purchase part of a business that may need to make a few changes to improve. Luckily, the company has a plan of operation in place so that you can focus on how to improve it for the company’s overall success. • Current owner knowledge. One of the best factors of buying part of a business is that the current owners will be very familiar with the company and can show you what has and hasn’t worked for business operations thus far. You, equipped with this knowledge, can then come up with innovative ideas to benefit the business. As there are many pros to buying part of an existing business, there are just as many risks of shared ownership of a company. It is best to keep these factors in mind as you make your decision. • Current owner practices. It would be an absolute nightmare to purchase part of a business where the owners mismanaged funds. Upon learning more about a business you may want to purchase part of, be sure to research all financial records. • Bad reputation. A good use of customer feedback is to learn how the company fares amongst past clients. A company with a bad reputation will likely struggle with being successful. • High turnover. In addition to clients being indicative of a company’s progress, the employees can serve the same purpose. If there have been numerous employees during the business’ lifespan, especially due to multiple resignations, this would be something to keep in mind as a problem area when taking the company on. • Differences between owners. If the current owners are not open to change or new ideas, you could possibly run into difficulties with trying to take the company to the next level in terms of expansion, increasing profits, or employee and client satisfaction. The choice to buy part of a company should only be made after carefully considering all factors, good and bad, that are involved. It can also be helpful to seek the help of a business adviser who can answer your questions and give guidance as you take this big step. The real estate market has made quite a recovery from the recession lows. Home values have been steadily increasing for a number of years. 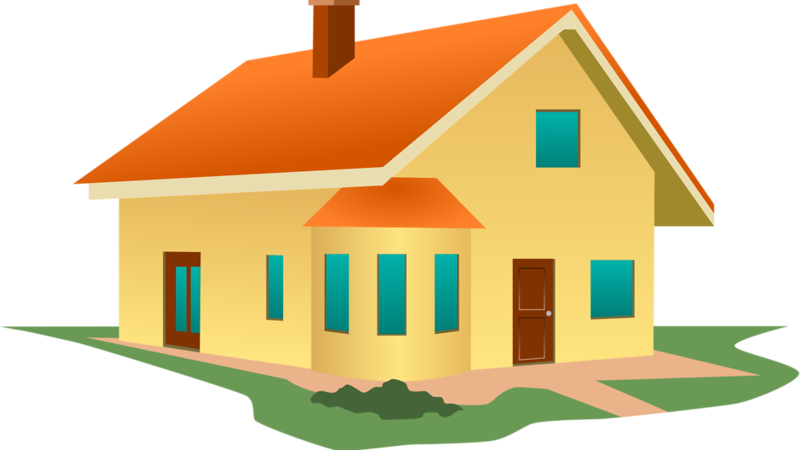 Now is a great time to sell your home depending on which market you live in. Selling a house isn’t a cakewalk like some might imagine. It takes a fair amount of effort on the seller’s part, even with a realtor. For instance, you must schedule repairs that are needed before listing the house. Then you also have to pay for any repairs that might be needed after a home inspection. Don’t forget about realtor commissions. Below I will go into the four potential cost traps of selling a home and how they can impact your bottom line. Realtor Commissions: While this may seem like an obvious one, it is one of the biggest if not the biggest expense you will have when selling a home. In most cases, the seller is responsible for paying the commission of not only their own agent (selling agent) but also the buyer’s agent. On average, commissions tend to be around 3% for each agent, so you are looking at around 6% of the sale price going towards realtors. 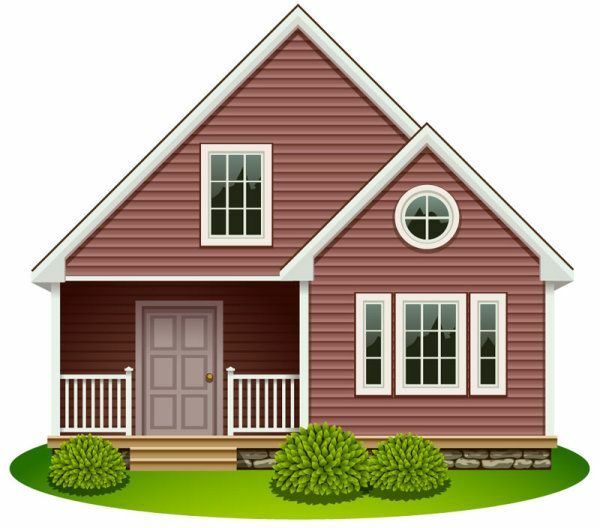 Repairs/Maintenance Before Listing the House: When you first meet with your realtor, he or she will typically do a walk through of the home with you and advise you of any obvious repairs or maintenance that needs to be done before listing the home. Sometimes this can be as easy as painting the walls a more neutral color. Other times it can be more complicated such as repairing leaks or noticeable cracks, or foundation issues. Repairs Needed After Home Inspection: More often than not, a home inspector is going to find something wrong with the house. It could be minor, it could be major. Either way, unless you are selling the home in ‘As Is’ condition, you will more than likely have additional repairs to make before closing comes around. Potential Taxes: While selling your home can be a potentially profiting venture, there could be fees you have to pay that far exceed that of a realtor’s commission. If you are selling property that has been labeled as an investment, prepare to pay taxes. The IRS recognizes gains on the sale of a property as capital gains. It will carry around a 15% tax on the difference between the purchase price and the sell price of the property. So there you have it. While selling your home can be an adventure of its own and a symbol of moving on to bigger and better things, there are many costs associated with the process. Being familiar with these potential expenses before you decide to list will remove any element of surprise you might have. Rents have been steadily increasing throughout the United States over the past decade. Ever since the financial crisis, people have somewhat shied away from home ownership and opted to rent. With the demand for rentals on the rise, a sharp increase in monthly rents has been a clear side effect. The old rule of thumb used to be 30% of one’s income should be spent on rent; however, we are now seeing a burden like never before. What should a millennial spend on rent? The simple answer is as little as possible. Millennial’s are those born from the late 1980’s to the early 2000’s depending on who you ask. These individuals tend to have a high burden of student loan debt, which makes it all the more concerning that they are spending high amounts on their monthly rent. A recent report came out showing that millennial’s will spend close to six figures, yes, $100,000 on rent before they turn 30. That is a staggering amount considering that most are also in the process of trying to pay off student loan debt. Get a roommate. Sharing a two bedroom with a friend is a simple and easy way to save money every month. Sure two bedrooms cost more than a one bedroom, but when you split it two ways, it comes out to about a 30% savings versus living on your own. This isn’t a long term solution, but it is a good way to free up additional income every month. Move in with a significant other. While some will shy away from this advice, there are many benefits to doing so. I knew a couple who had to live apart until the day they were married for various reasons. They chose to do this in order to respect the wishes of others. However, they were basically spending an extra $1000 a month on an additional apartment that got little to no use, all to please a few. They could have used that money to build up an emergency fund or increase their down payment on a future house. Buy a house. While buying a house requires more responsibility and obligations than renting, it is also a good choice to lower your monthly expenses and build equity. For example, a $200,000 loan on a property with 20% down will give someone a monthly payment of approximately $1250 a month. Depending on the area of the country you live in, it will almost certainly be cheaper than paying someone else to rent. While some see a benefit to renting, there are also many drawbacks financially. Although we can’t exactly put into numbers what should a millennial spend on rent, there are ways to reduce your monthly expenses. Whether you are able to implement one of the solutions above into your situation or not, living costs will be your largest expense every month. I was recently on vacation in Denver, Colorado, when a friend of mine who lives out there told me about this cashback app called Ibotta. He was head over heels for the app which happened to be created out in Denver. I downloaded the app and immediately saw how one could benefit. In the following Ibotta app review, I will go over just how simple it is to start getting cash back on purchases you already make. Most Americans find themselves shopping at the big box stores for everyday items. Stores such as Target, Walmart, Best Buy and others are some of the top stores in the Ibotta app. Many of these stores offer cash back for just simply taking a picture of your receipt. They also have coupons for many items you purchase including Gatorade, salsa and even beer! Unlike some apps that take a while to figure out, Ibotta is pretty straightforward. From the home page you can select your favorite stores, choose any coupons you might be interested in using, and start earning cash back. The picture to the left illustrates what one will see if they click on Target as a store of their choice. You are presented with a list of coupons available. Towards the top, you are able to segment the products based on the category you want to search for. In this example, if you wanted to get $1.00 back on Gatorade G2, simply click on the red plus sign and it is added to you offer list. It’s that simple! The whole point of a cash back app is to actually get cash back. In this Ibotta app review I am here to tell you that is exactly what you get. Withdrawing your cash is a super simple process. The only requirement is that you have at least $20 in your account to withdraw. You can withdraw the cash via PayPal, Venmo, or for one of the many gift cards they offer. Never have I had such a hassle free experience withdrawing earnings from an app. Search through the list of selected stores you shop at and even ones you don’t. 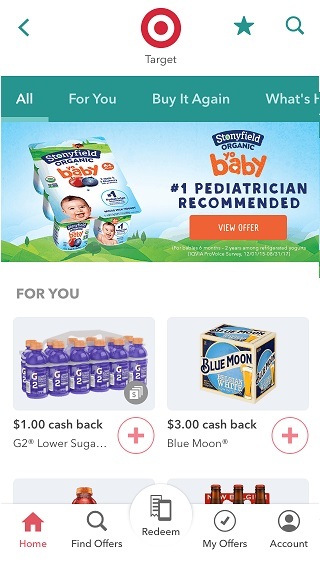 Find coupons you can use and add them to your “My Offers” section. Once you shop at a store, you can use your camera to make sure the item qualifies for the cash back by simply scanning the barcode. Take a picture of your receipt and confirm you purchases. Watch the cash add up. There is no limit to how much you can have. A little over five years ago I made a financial mistake that I’m not proud of. I purchased my first home. No the purchasing of the home isn’t the financial mistake, the mistake was going with a 30 year mortgage instead of a 15 year one. Many times throughout the year I often wonder why I didn’t even consider a 15 year mortgage. Don’t make the same mistake. If you have the financial ability to do a 15 year mortgage then by all means go for it. I will discuss a few of the 15 year mortgage pros and why I wish I could go back in time and do it all over again. The easiest difference to distinguish between a 15 year and a 30 year mortgage is the interest rate. 15 year mortgages have a significantly lower rate than their counterparts. The shorter the amount of months a company has to lend you money, the more likely they are to recoop their costs. A 15 year mortgage tends to have an interest rate of 0.5% to 0.75% lower than that of a 30 year. Although that might not seem like a significant number, it will ultimately equal many thousands of dollars in savings over the life of the loan. Simply put, you build equity faster. Because you are having to pay the full amount of the loan in half the time, your monthly payment will be more; however, that also means you will become the full owner of your home in a shorter period of time. Many people, myself included, choose a 30 year mortgage because the payments are less on a monthly basis. Had I chosen a 15 year mortgage, my payment wouldn’t have been much more a month and I’d own the home outright in half the time. The final pro is that you have the opportunity to eliminate your largest monthly expense. This is especially important as one approaches retirement. People sometimes talk themselves out of a shorter mortgage because the higher monthly payments mean they have to forgo savings for other things such as retirement. Can you imagine owning a house free and clear in retirement and not having the stress or monthly expense of a mortgage payment? Plus you can also free up more capital if you decide one day to do a reverse mortgage. The majority of housing loans issued are in the form of 30 year mortgages. This has been the case for a while. I messed up when I bought my first home, but I can assure you I won’t make the same mistake for my next. A 15 year mortgage is ideal for individuals or couples who have stable jobs, and are good at budgeting their monthly expenses. The opportunity to save money on paid interest and build equity fast will be too much for me to pass up again. That is why the 15 year mortgage pros strongly outweigh any cons. When it comes to our personal finances, it’s safe to say we’ve all done our fair share of worrying. With bills to pay and mouths to feed, it can seem like saving any of your money is a pipe dream. An impossibility. And, yet, we must. We have the unenviable task of doing the impossible. Or, at least, that’s how it seems. In truth, savings money can be easier than you think. With a healthy does of will power and the right know how, you can secure your financial future. Here are some tips to get you started. Coupons and sales are another great way to save. Retailers employ these cost cutting measures frequently in order to entice customers new and old and generally drum up some extra business. That’s why an eagle eyed shopper stands to be able to take home most, if not all, of their shopping at a heavily reduced price. You may have to do your shopping piecemeal in order to maximize savings, but it’s well worth it to save that much money. You’ll also have to remain diligent in order to find thee special offers, so keep your eyes peeled like a jaguar ready to pounce on its unsuspecting prey.